This is one of my late summer go-to sides. Fresh tomato and basil from the garden will amplify the flavor. 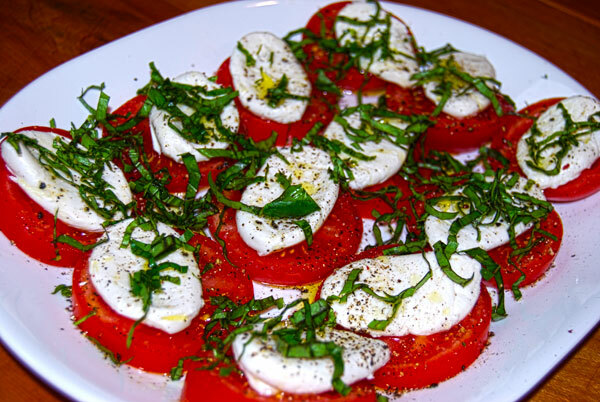 Slice the tomatoes, add fresh mozarella medallions, drizzle with olive oil. Add thinly sliced basil. Sprinkle with Kosher salt and cracked black pepper. Prep = 3 minutes !